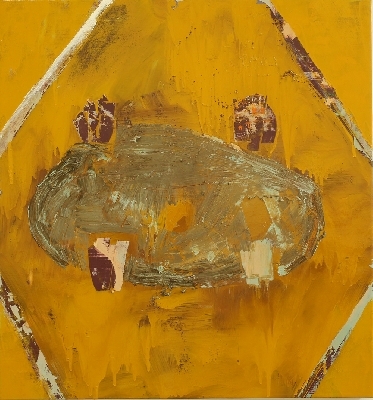 Jeanette Cole has exhibited her work in several solo exhibitions in New York at the John Gibson Gallery and LP projects; and in many group exhibitions in the metropolitan New York area including the Frumkin/Adams Gallery, Ben Shahn Galleries at William Paterson College and the Islip Museum. She has had twenty-five solo exhibitions at colleges and galleries across the country. 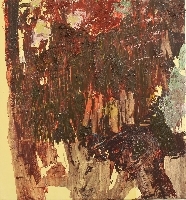 In 2000, Central Florida University exhibited her Paradise Series, multicomponent mixed media paintings, which exemplified her interest in seemingly incompatible cultural systems. Having grown up in Liberia, West Africa until age 13 when her family moved to the United States, the contrast of experiences has become a central theme in her work. She is a recipient of a Howard Foundation Fellowship and a Virginia Museum Professional Fellowship. In 2008 she showed 12 paintings in "Couples" at the Islip Museum on Long Island, (reviewed in New York Newsday and New York Times regional edition). In 2012 she had a solo show at The Industry, Long Island City, NY an alternate space sponsored by Silver Cups Studios. In 2015 had a large solo exhibition at Barton Museum in North Carolina. My work strives to retrieve and reconnect fragments of a disjointed past. These paintings reflect searching through layers of water, mud and dense soil in an attempt to connect to the first people who survived on this continent. The layers that build up are countered by scraping and removing. Archeology is a lens into other people's origins and painting grounds me to mine.